Many people haven’t even heard of geothermal heat pumps, but they’re one of the most energy-efficient HVAC systems available today! Like other types of heat pumps, geothermal systems provide both heating and cooling and are great for homes in Virginia Beach because of our mild winters. Mechanical Service Company installs geothermal systems throughout the Virginia Beach area, and we can answer any questions you might have. If you’re interested in a geothermal heating and cooling system for your home in Virginia Beach or throughout Southside Hampton Roads, contact MSCO today! Convenience: Geothermal heat pumps have the ability to both heat and cool your home. Safety: Since they don’t use combustible fuels, geothermal systems eliminate the risk of carbon monoxide poisoning, gas leaks, and fire damage that could be caused by a furnace. Eco-friendliness: Because they use less energy to heat and cool your home and don’t use fossil fuels, geothermal systems don’t emit greenhouse gases! High-quality temperature control: These systems provide consistent temperature control throughout your home, so you shouldn’t have any hot or cold spots. Tax credits: The government and many utility companies offer monetary incentives for investing in geothermal heat pumps. The heating and cooling experts at MSCO can install several different types of Trane geothermal systems as well as ClimateMaster brand geothermal systems at your home in Southside Hampton Roads. 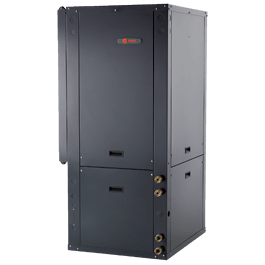 As Trane Comfort Specialists, you can feel comfortable knowing that the MSCO team will handle your geothermal heat pump installation with care and an unmatched level of expertise. We’ll work with you to help decide which model is best for your family and a timeline for installation. If you want to learn more about the geothermal system installation for Virginia Beach homeowners, contact us today! Geothermal heat pumps are extremely low maintenance systems, but there’s always a chance that an issue will arise. If you’ve noticed reduced heating and cooling effectiveness, strange sounds, or a sudden spike in your energy bills, it might be time to call a professional. When you need reliable repairs in the Virginia Beach area for your geothermal heat pump—or any type of HVAC system for that matter—MSCO will always be there! We’ll work hard to quickly diagnose the problem with your system and repair it as soon as possible—even if we’re not the company who installed it. If you think you might need geothermal heat pump repair services, call MSCO now at 757-427-0016! At Mechanical Service Company, keeping your home comfortable for your family has been our mission since we opened our business in 1955. We grew from humble beginnings in a Norfolk garage, and we’ve since grown to service the entire Hampton Roads area, including Virginia Beach, Chesapeake, Norfolk, Portsmouth, and Suffolk. MSCO is an independent Trane Comfort Specialist™ company, meaning we’ve met Trane’s stringent standards for customer satisfaction and continuing education for our employees. We may not be your only choice for HVAC companies in Virginia Beach, but we are the best choice. Contact us today!